If you’ve been to the Cross-Lines Thrift Store, you have probably had the pleasure of meeting Paul and Eliese Holt. The dedicated, dynamic duo have been hardworking volunteers in Thrift Store for five years. The couple works on Tuesdays and Wednesdays, primarily running the cash register, assisting shoppers and clients and helping out wherever they can. When time permits, Eliese works to tidy and clean displays. Paul assists with evaluating donations, especially electronics. Paul and Eliese also coordinate their church’s (Church of the Resurrection) volunteers for the Christmas Store each year. 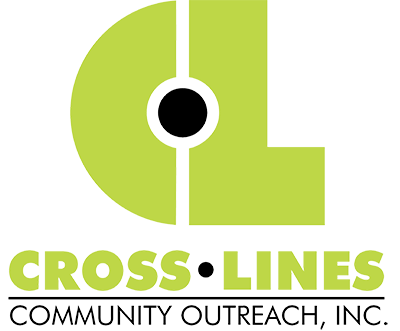 Why do you volunteer at Cross-Lines? We have a passion for helping those in need. When we moved to Kansas City, we were looking for an agency who believed in making differences for those experiencing homelessness and/or poverty. But most importantly, an agency which believes in the worth and value of all persons. We found that place at Cross-Lines. It is a blessing for us to work with Cross-Lines staff, the dedicated volunteers at the Thrift Store, and the Cross-Lines community. When you aren’t serving at Cross-Lines, what are you doing? We also volunteer weekly at our church, Church of the Resurrection. Paul is a camera man at one of the services and Eliese greets, assists guests and registers attendance. We also serve as tour guides for new visitors and work with with our church’s hunger ministry. Our other big commitment is to our grandchildren, who all love to come and visit Cross-Lines.